Scorpio ascendant astrology, horoscope consultation, understand importance of Vrischik ascendant or lagna, astrologer for minute analysis of horoscope, Birth chart analysis, Vedic astrology for analysis and solutions of problems. If I talk about a person having courage, enthusiasm, powerful personality then definitely the people with Scorpio Ascendant(Vrischik Lagna) come in mind. The Master of Scorpio is Mars which is a power planet. Checkout your lagna i.e. 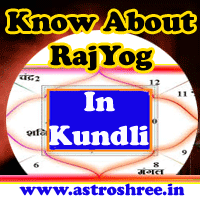 first house of your lagna kundli and see the number present there. If number 8 is present there then no doubt your ascendant is Scorpio i.e. Vrischik and your lagna is controlled by planet Mars. Scorpion ascendant people have good powers to live life, they are also having good physique with sharp features. They are courageous and are ready to accept challenges. Sometimes due to over power of mars these people also towards negative company which lead to loss in health, wealth, name and fame. Scorpio ascendant people are commited and ambitious, they put good efforts to achieve there goal of life. They are good leader and sometimes dominant in nature. Due to short tempered mind they also live stressful life. Position of Mars in horoscope also affect the life very much. If Mars is in good position and power then the person is able to gain property, power and name by his own efforts in life. In case of weak Mars person deprive from above benefits and compromises become the part of life. They can make career where power is used like administration, sports, Army, detective services, real state etc. They are energetic and so people also feel power when get close to them . Positive powers of Mars also make Scorpio ascendant people great motivator. So do use your power for the creation and attain the success in life. 1. Do meditation regularly to control your feelings, temper etc. 2. Do sit free, always try to do something creative which will keep you active and successful. 3. Do make positive minded persons your friends to get growth in life. 4. Do regular exercises and also take part in extra activities to use your powers in a better way. 5. Don't be impatient in taking any decision to avoid any loss. Get proper report of your horoscope and special tips related to lucky gems stones, right puja, yantra, mantra for successful life. Consult Astrologer Right Now.